Today is very fashionable take selfie, and Princess Elsa Frozen not escape what's in vogue. She was portraying when his cell suffered a fall, you split the screen and not work any more. Oh no, she's desperate, you can not live without your cell phone. 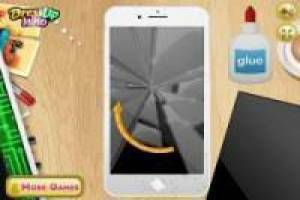 Join Elsa to repair your mobile, now the coach be you. Open cell with proper clamps, switches one by one the burned fuses, replace broken by a new screen. Have fun putting stickers, housings and pendants, personalized to your liking Elsa's cell phone. 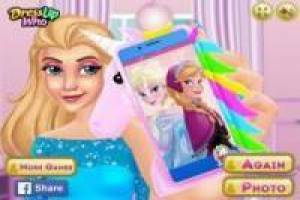 Spend a fun time repairing mobile phone Frozen princess. 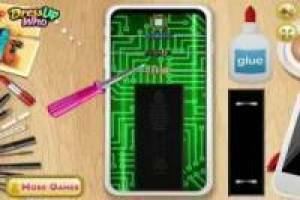 Enjoy the game Iphone repairs Frozen Princess, it's free, it's one of our frozen games we've selected.